AmpliFi™ Teleport provides a secure and convenient way to access resources at home, even when you are not. Utilizing any Wi-Fi hotspot or wired Ethernet connection, Teleport is able to create an encrypted connection to your home network, expanding it wherever you go. Teleport works in two parts – an AmpliFi HD Router runs your home network and Wi-Fi while AmpliFi Teleport, which is a portable hardware extension to the router, makes the home network and its internet connection available from a different location. 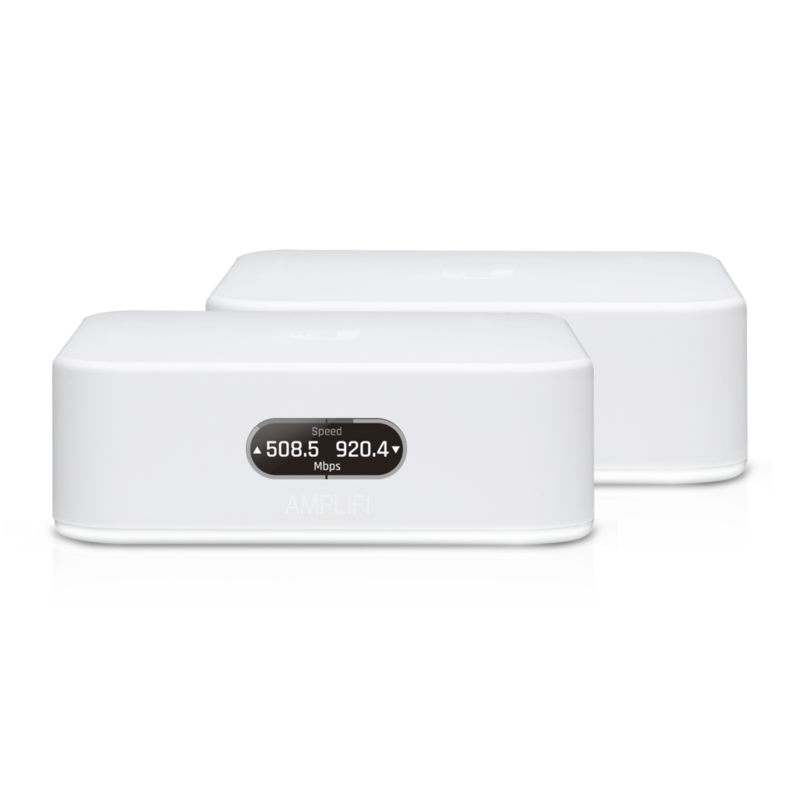 The AmpliFi HD Router has a dual-band 802.11ac 3x3 MIMO Wi-Fi, multiple self-configuring radios and advanced antenna technology, bringing full Wi-Fi coverage throughout your home. AmpliFi Teleport is a compact, portable plug-in device that provides both an Ethernet port and Wi-Fi connectivity, either of which can be used to connect to the internet or simply network your devices together. The intuitive AmpliFi app allows instant setup, configuration, powerful reporting metrics, parental controls, remote access, and easy guest access. The mobile app is available for download on Android and iOS smartphones. Whether you are traveling for business or pleasure, use AmpliFi Teleport wherever you go and feel secure knowing you are still connected to your home. Watch your local programs and content, video call and connect with family, or check your smart home security from any Wi-Fi enabled device. Teleport allows you easy access while you are away from the most important place - your home. Download the Ubiquiti Amplifi Teleport Datasheet (PDF).